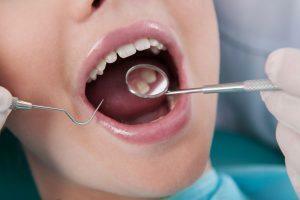 There are many different dental problems that a person may face. Accidental chips and cracks or tooth decay can mar the appearance of a tooth. Some teeth may have small but detectable levels of misalignment, or there may be slight but unsightly gaps between teeth. 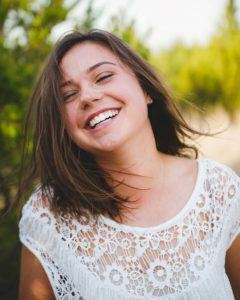 Perhaps there are severe stains on the teeth, making a person hesitant to smile. Dr. Carter Yokoyama can successfully treat all of these problems, and in some cases, all he needs is one dental treatment: porcelain veneers. 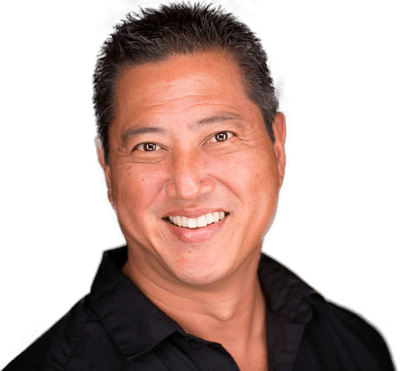 By using porcelain veneers at his Kailua-Kona practice, Dr. Yokoyama can restore and enhance the appearance of your smile. Porcelain veneers are thin shells made of a special dental ceramic that are bonded to the front facing surfaces of your teeth. The porcelain veneers will protect the teeth from damage and provide an aesthetically pleasing appearance. They are quite durable and do not require a lot of tooth structure to be removed in order for them to be placed. The porcelain veneers are semi-translucent, allowing light to affect them just like your actual teeth. This ensures that when the veneers are placed they will look natural and not appear artificial. Dr. Yokoyama will color-match the porcelain veneers to your existing teeth as well, further ensuring a subtle but extremely effective cosmetic dentistry enhancement. 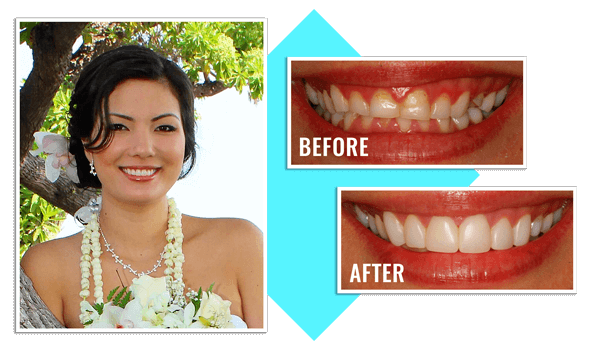 To find out if you are a good candidate for porcelain veneers, we encourage you to schedule a consultation with Dr. Yokoyama in Kailua-Kona. While porcelain veneers are able to address many different problems, an in-person visit with Dr. Yokoyama will allow him to determine if porcelain veneers are the proper treatment option for you. He will also be able to assess your dental health and develop a treatment plan that will best meet your current and future needs. 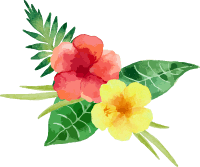 We invite you to contact our dental spa in Kailua-Kona today to schedule a visit.